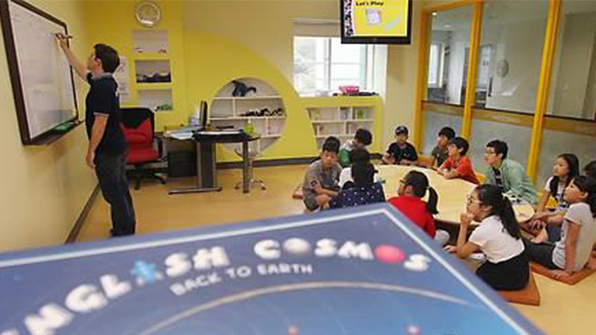 The Seoul Metropolitan Office of Education plans to place 90 additional native English teachers in elementary schools in Seoul this year, despite growing questions raised by local teachers over their educational effectiveness. SMOE Superintendent Cho Hee-yeon announced the plan in April to recruit teachers from native English-speaking countries as part of efforts to improve the quality of English education at public schools and ease the reliance on private language education. The education office has received applications from elementary schools seeking to hire native English teachers for their classes, and plans to dispatch 70 native English teachers for the first semester and 20 more for the second semester, an official from SMOE said. “At the schools where native English teachers were dispatched, the school assesses student satisfaction as well as parent and teacher satisfaction with the native English teachers. In general, the level of satisfaction is very high,” the official told The Korea Herald. As of late December last year, there were an estimated 327 native English teachers working at 341 schools. Some of them teach classes at two small-sized schools. When the second semester begins this year, there will be 417 native English teachers at 432 schools, accounting for 77 percent of all the schools in Seoul, according to the official. But the Korean Teachers and Education Workers Union, which has some 50,000 members but is not legally recognized as a labor union, has demanded abolishing the system that places native English teachers at schools. “It costs a lot to hire native English teachers, but how qualified the teachers are and how much they help English education for South Korean students remain questionable,” said Kim Hong-tae, policy chief at the Seoul branch of the Korean Teachers and Education Workers Union. “Local elementary school teachers received systematic education to be able to teach the students. Why do we need native English teachers at schools even when the educational effectiveness has not been proven?” he asked. The group represents some 5 percent of the country’s approximately 410,000 elementary, middle and high school teachers, according to government data. Native English teachers pair with local teachers to teach 22 hours a week for third graders and higher at elementary schools. Despite the concerns expressed by teachers group, the state-funded system of placing native English teachers at elementary schools appears to be well-received by parents. “In terms of learning about cultural differences and mastering correct English pronunciation, it is good for my children to have native English teachers at their schools. Otherwise, the only way to help the children learn to interact with foreigners would be to send them to private academies,” said Yang Seung-hae, 37, who has three children attending elementary schools in central Seoul. According to the Education Ministry’s data, an estimated 18.6 trillion won ($16.5 billion) was spent on elementary, middle and high school students’ private education in 2017. SMOE and the Seoul branch of the Korean Teachers and Education Workers Union have agreed to hold consultations to narrow their differences on hiring native English teachers at elementary schools.